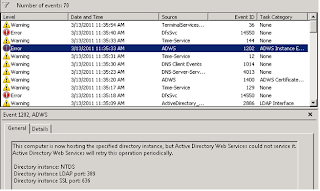 At Windows Server 2008 R2, the domain controller may generate the error of Event ID 1202. 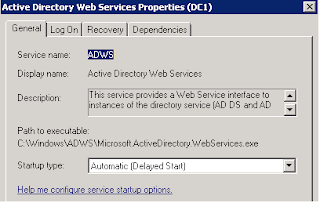 The Active Directory Web Services (ADWS) starts before the Active Directory Domain Services (ADDS). 1. 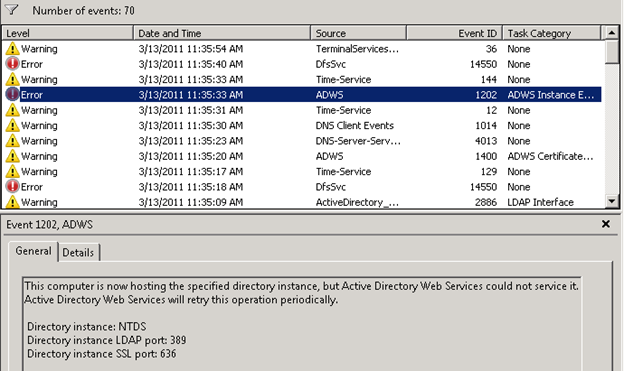 At the Domain Controller, login as Domain Administrator. 2. Click “Start”, enter “services.msc”. 3. 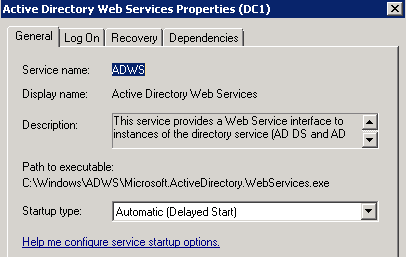 Double-click “Active Directory Web Services”. 4. Next to “Startup type”, select “Automatic (Delayed Start)”. 6. Restart the Domain Controller. I wish my problem would have been this simple as to change the start-up - but this did not fix the problem. Could you please suggest another alternative?